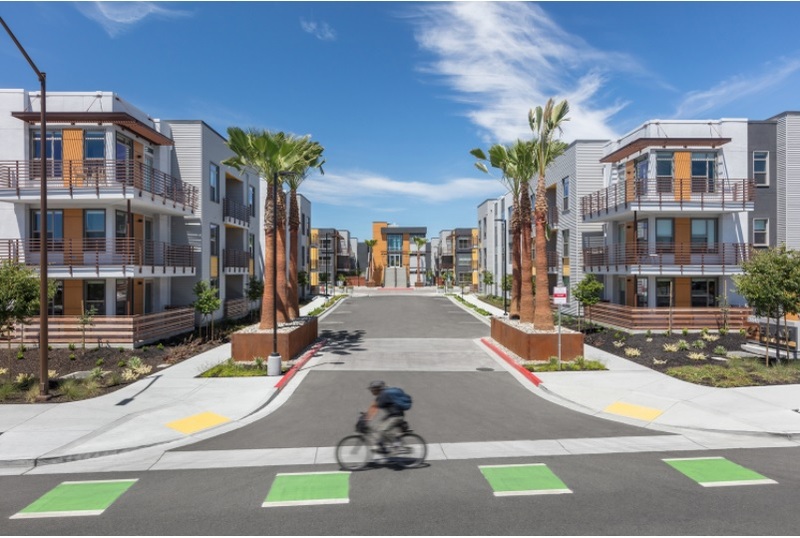 OAKLAND, Calif. – (RealEstateRama) — International award-winning firm KTGY Architecture + Planning is pleased to announce that Elan Menlo Park, a 146-unit luxury apartment community in Menlo Park, Calif., is nearly complete and has begun leasing. 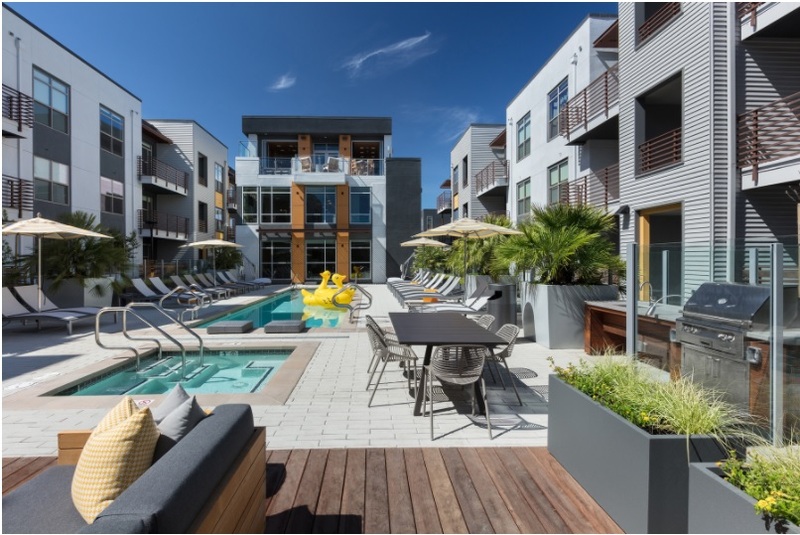 Developed byCityView and Greystar, Elan Menlo Park is a contemporary-designed apartment community located at 3645 Haven Avenue, near major employers, restaurants, shopping, services, medical, education and transit. In addition to the 146 luxury apartment homes, the apartment community features over 17,000 square feet of indoor/outdoor amenity space for residents. Elan Menlo Park’s design was conceived as a series of six interactively-connected “garden-style” apartments relating to a central amenity area, said Musick. “The prominent three-story amenity building includes a spacious open-area community lounge, game room areas, fitness center, viewing deck, and a leasing and administrative office. The amenity spaces have a visual connection to the outdoor swimming pool and deck, and views to the community green space. The central driveway provides access to the project’s amenity building which serves as a bold backdrop for the arrival sequence,” Musick commented. Residences will be available in one, two- and three-bedrooms ranging in size from 715 to 1,249 square feet of living space.The well-appointed apartment homes have gourmet kitchens with custom islands, quartz countertops with under mount sinks, glass-tiled backsplashes, European cabinetry and stainless-steel appliances. Floor plans incorporate features such as wood-style plank flooring, abundant windows for natural light, pendant lighting, air conditioning, spacious walk-in closets and in-home full-size washers and dryers. Community amenities include a club-quality fitness center, a resident lounge and large landscaped interior courtyards with Wi-Fi, bike storage and maintenance stations, automated package delivery system, and a resort-inspired saltwater pool and spa. It will also have an outdoor area with fire pits, barbecue grills and TVs, and a pet area that measures roughly 50 feet by 10 feet. In addition to covered parking for residents, select apartment homes have an attached garage. Elan Menlo Park’s general contractor is JS Builders. The interior designer is Parisi Portfolio. The landscape architect is MPA Design. KTGY is the project’s designer. “The project brings an exciting new residential community to this burgeoning area of Menlo Park that will also feature Anton Menlo, a 394-unit apartment community at 3639 Haven Avenue, and a new 195-unit apartment home community at 777 Hamilton. All three projects are designed by KTGY and will help meet some of the demand for housing in this area,” noted Musick. For more information about Elan Menlo Park, see elanmenlopark.com. CityView is a premier developer and investment management firm focused on urban residential real estate in the Western and Southwestern United States. CityView targets multifamily housing ventures in metropolitan markets which are often overlooked due to the complexity of the transaction and other development challenges. At the center of the firm’s success is its strong professional team which possesses unparalleled expertise in real estate, development, operations and finance. CityView’s investors include some of the largest and most sophisticated public pension plans and financial institutions in the country. CityView was founded in 2003 and is headquartered in Los Angeles. The firm has regional offices in San Francisco and San Antonio, Texas. For more information, please see www.cityview.com. Greystar is a leading, fully integrated real estate company offering expertise in investment management, development and property management of rental housing properties globally. Headquartered in Charleston, South Carolina with offices throughout the United States, Europe, and Latin America, Greystar is the largest operator of apartments in the United States, managing over 400,000 units in over 160 markets globally. Greystar also has a robust institutional investment management platform dedicated to managing capital on behalf of a global network of institutional investors with over $14 billion in gross assets under management including $6.9 billion of developments underway. 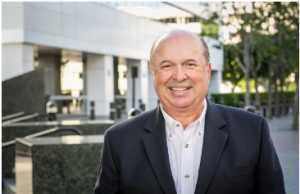 Greystar was founded by Bob Faith in 1993 with the intent to become a provider of world class service in the rental housing real estate business. 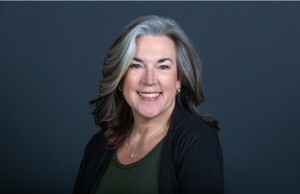 To learn more about Greystar, visit www.greystar.com.